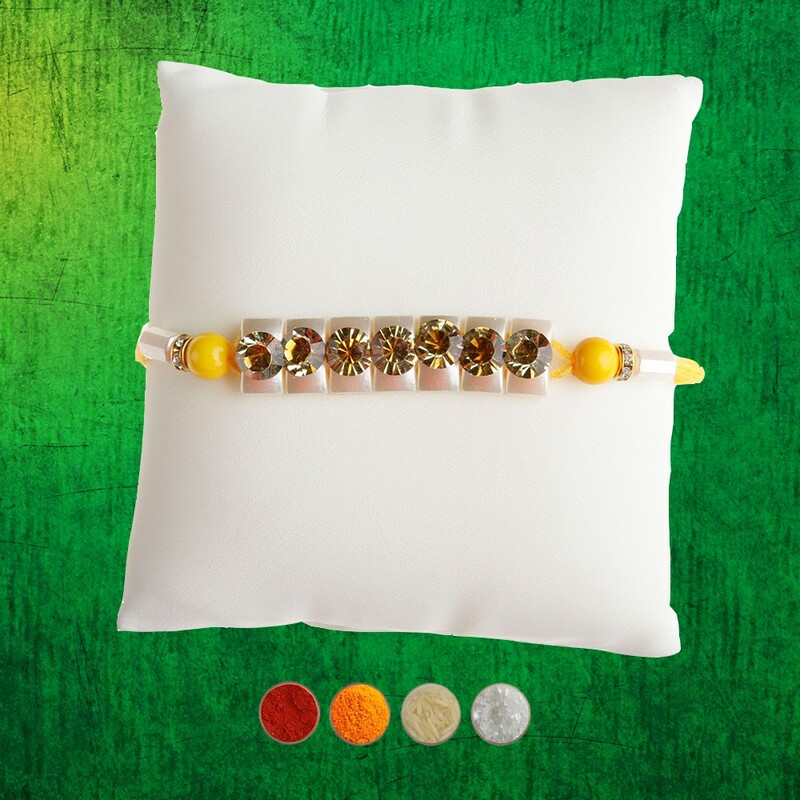 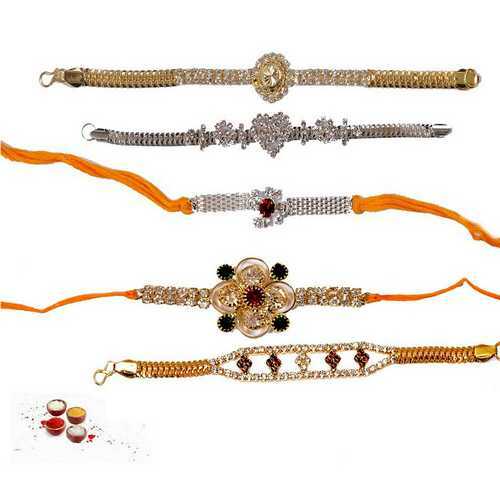 This is a set of 5 jeweled bracelet look rakhis ornamented with premium stones like sparkling white stones, american diamonds, red & green kundan, etc. 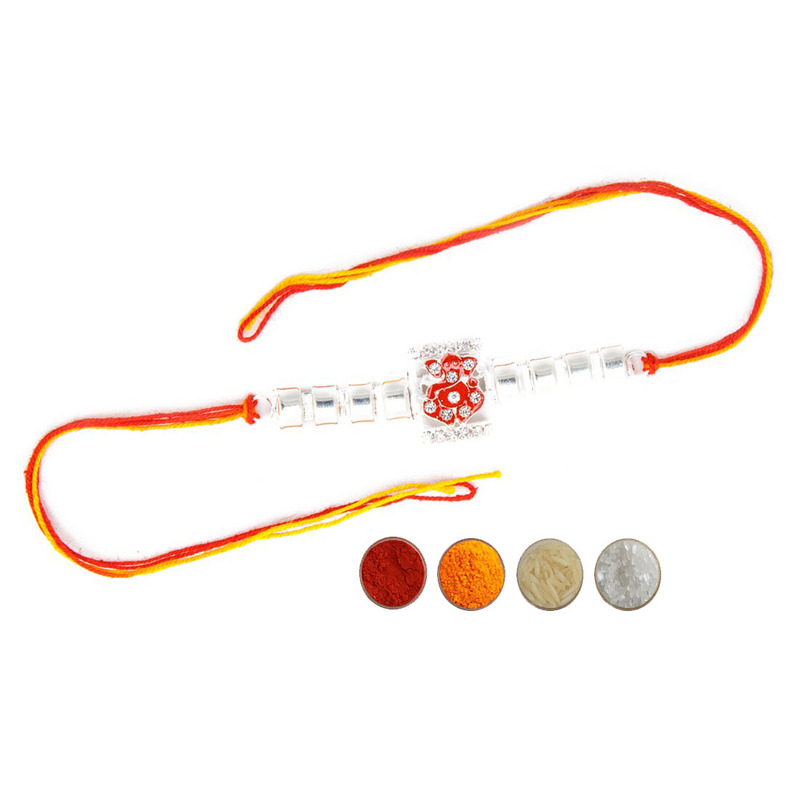 This would be truly a wonderful rakhi gift option for your brothers. 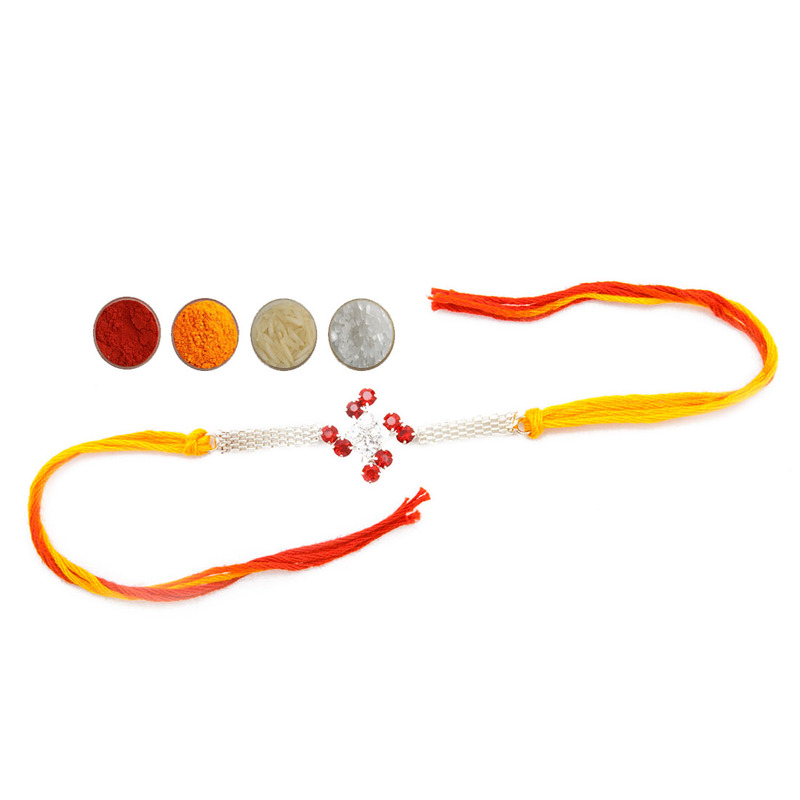 Buy these 5 premium stone jeweled bracelet rakhis online and send to your loving and caring brothers who have been the source of inspiration in your life. 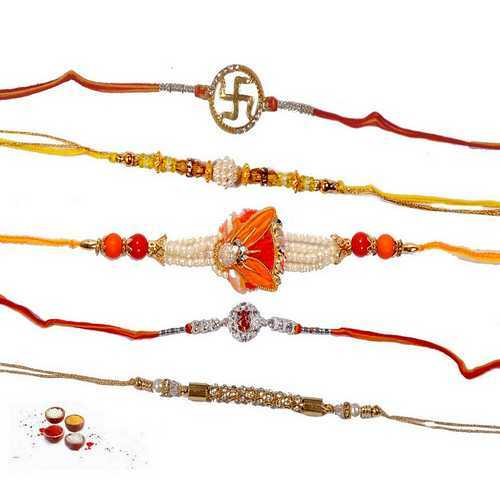 Your brothers shall love and admire these rakhis. 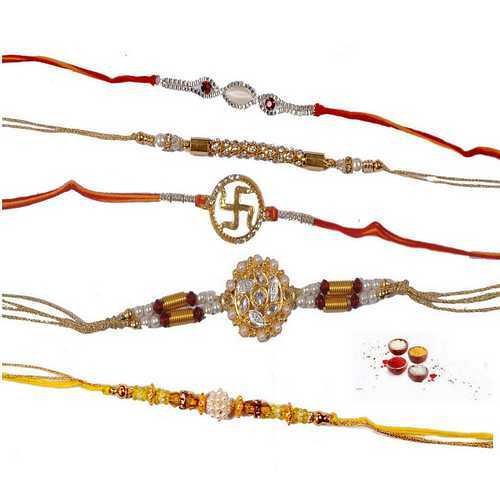 Grab the set with complimentary Roli, Chawal, Chandan and Mishri in very attractive pack.